Getting involved with online auctions has given your business a wide range of benefits. You feel like you have a better grasp of the products and services you obtain for your company, as well as opening up a whole new avenue so you can reach potential clients who might want to do business with you. Once you have gotten the hang of moving your traditional RFP process completely over to eSourcing tools and FlexRFP resources for better bidding management, you are now ready to try your hand in a new method for auction bidding: reverse auctions. Unlike traditional auctions, reverse auctions turn the bidding process upside down. 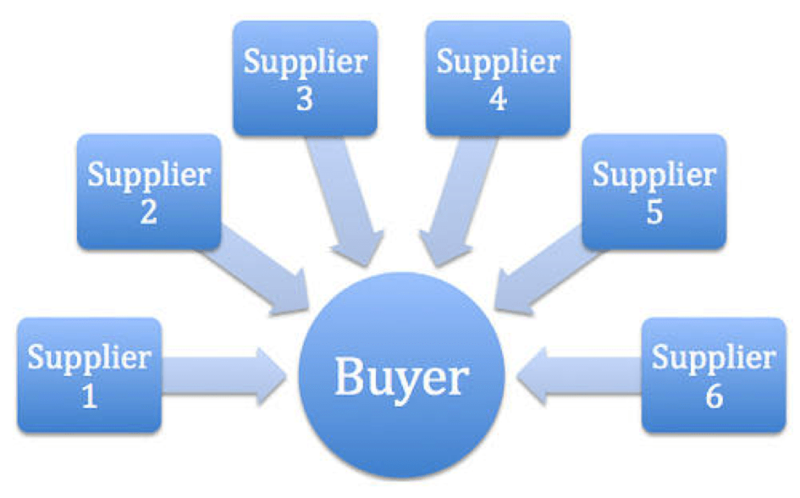 Buyers will list the types of goods and services they need, and sellers will outbid each other on how much they want to get paid to provide such a service or product to the buyer. Then the buyer can select the price that is desirable and receive the offered business by the seller. There are many types of financial benefits this arrangement can give to both buyers and sellers. Procurement professionals have seen a cost savings of up to 20 percent when using this process. While reverse auctions don’t work for every company, such as niche industries with fewer sellers, and smaller businesses can find themselves bidding too low just to win the sale, there are definitely advantages to your budget if you use reverse auctions smartly in your operations. Auctions in general are great for buyers as it expands the seller field to include small businesses that may have never been in your radar and places them in the same RFP playing field as larger corporations and factories. As sellers place their bids, you can seek out the lowest price that fits into your budget while still offering the superior quality, production deadlines and other factors you need for your business. It also allows you to find additional suppliers of products and services so you have several backups if the first seller falls through with the deal. A reverse auction cuts down the leg work, time and resources in tracking down appropriate sellers. With the use of eSourcing software, you can gain seller information through surveys and open the lines of communication to further find savings on the products and services you desire. It can be a bit more difficult for sellers to realize the potential benefits of a reverse auction to their budget. Yet with reverse auctions, you can see what other sellers in your industry segment are pricing similar products and services to determine the best cost structure for your own operations. You can price out your materials, production processes and supply chain to determine if there are any ways to cut costs while still being competitive. You may end up using other factories to source products, finding better supply chain options, and streamlining the production process to lower overhead. Once you start saving money in your own operations, you can aggressively bid in reverse auctions while still making a profit that will allow your company to continually expand and grow. Not every business gets involved with reverse auctions. They simply don’t enjoy the bidding game involved where they aren’t getting the desired price for services and products. Yet there are advantages to this type of procurement process if you take the time to perform your research about your competitors, analyze your operations, and determine how low the bidding price can go before you walk away from the table.